When submitting a Spousal Sponsorship application immigration Canada scrutinizes the application to ensure the marriage is not fake and the applicant has provided sufficient supporting evidence to prove their relationship is genuine. Aside from the forms, applicants need to go through extensive police record checks and medical testing. The reason citizenship and immigration Canada has made the process very difficult is to keep fake marriages out of Canada. Due to all these new regulations applicants that actually have genuine relationship but failed to provide sufficient proof were refused and are left no choice but to appeal the decision. This would add an additional year to the application processing times, stress and cost of an appeal. To avoid a refusal application, read our blog below to learn how you can strengthen your application for higher chance of approval. Who can Sponsor under Family Class? Under the Family Class, Canadian citizens and Permanent Residents can sponsor their wife or husband, common-law or conjugal partner. Compared to other immigration applications your loved one has a better chance to land in Canada through a sponsorship application if completed thoroughly and accurately with sufficient supporting documents. If your application is incomplete with not much evidence then it can even keep genuine spouse apart for an indefinite amount of time. Also, it is helpful to keep copies of your boarding passes, hotel reservations, receipts for gifts and dinner, passport stamps that shows you have taken trips together. Phone bills are great way of showing that you been keeping in touch with your spouse. Another common mistake applicants make is that they provide documents but there is no explanation behind it of why this piece of document is provided. You have to make the job of the immigration officer as easy and stress free as possible by explaining why you are providing this document. For example, if you are submitting a picture of family dinner party and you did not mention who is in the picture, when the event took place and the importance of it then the visa officer will not know what to do with it. The officer will just see picture of people having dinner. Having a story line behind each supporting document will help paint a better picture for the officer in assessing the genuineness of the relationship. Having a thorough and complete application, leaving no questions for the officer to be answer can possibly get you out of an interview and speed up the processing time for your application. If the officer is satisfied with your application they have the authorization to waive interviews as it is clear your relationship is genuine. So put that extra effort in explaining each piece of document to save you from facing an interview with a visa officer. Phone conversations on a daily frequent basis; this can be proved by providing phone receipts or bills that show you were in contact with your partner’s number on a regular basis. Buying a property together; you will have to show an official residential/property lease or mortgage payment that shows you and partner either as joint buyers or either one of you as a co-signer. Significant photos of various visits and travels together, as well as travel documents from those trips. Proof that the life of your partner or you were in danger if your relationship was made public or if you lived together. 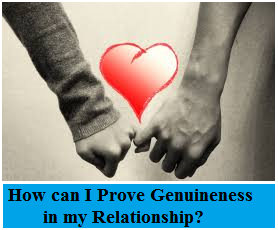 If you need assistance with compiling a strong application to proof genuineness in your relationship then contact us today and let us assist you with your immigration matter. Akrami & Associates has assisted many clients with spousal, common-law and conjugal sponsorship and we can certainly assist you as well. For higher chance of success call us today at 416-477-2545. With Akrami & Associates there is always a way!